This event will take place as the weather turns cooler to promote a healthy Emporia. The 10K race will begin and finish just West of Central Care Cancer Center (1401 W. 12th), and is a challenging and interesting looped course, which will run alongside the Emporia Country Club and cut through the Morningside neighborhoods and Jones Park in the Northwest area of Emporia. 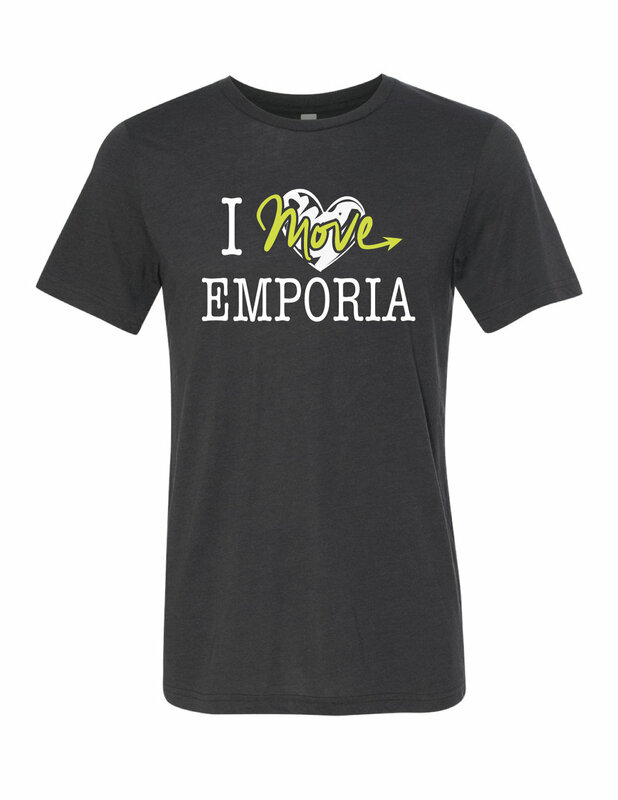 Proceeds from the event will be donated to Emporia's Multi-Use Path Planning (MUPP) board, whose mission is to provide citizens of all ages safe routes to schools, places of work, shopping, and recreation, while promoting physical activity and preservation of the environment. The work of MUPP should affect each and every person in our community and help move Emporia forward! We are happy to have reached our 2016 goal of $5,000! EARLY PACKET PICKUP will be available on Friday, September 29 from 10 am - 8 pm at Gravel City Roasters located at 608 Commercial Street. LATE REGISTRATION and packet pickup will also be available on race day in the NRH/Cancer Center parking lot from 7:00-7:45 am. Registration will not be available after this time. Registration cost includes a tech tee and finisher medal for the 10K and a tri-blend tee for the 2-Mile. The tri-blend will also be available to purchase as merchandise, both online and in person at the event. Refreshments, including coffee provided by Gravel City Roasters and food provided by Radius Brewing Co., will be available at the finish line at no cost to participants. The top (3) Male and Female 10K finishers will receive cash awards of $25, $15, and $10. The 10K finisher in the "middle of the pack" will be given a prize. Additionally, prizes will be awarded to those who participate fully in the 10K Training Program. Winners will be drawn for other great raffle prizes, thanks to generous donations from local area businesses! PARKING INFORMATION will be given closer to the event date. The 10K race will begin promptly at 8:00 am. The course map can be viewed in the photo gallery and is also available on the race website. There will be port-a-johns available in the start/finish area as well as at the 4-mile point in Jones Park. There will be 2 water/aid stations, located near the 2 and 4 mile points. "Chip Time" will be used as the official finishing time for all runners and for results/awards. A printout of results will be available at the registration booth beginning at 8:45 am, and the awards will be presented at approximately 9:00 am. Results will be available to view online at the event website later in the day. The 2-Mile Walk/Fun Run will begin promptly at 8:00 am following the 10K runners. This event is NOT TIMED and you will not receive a bib number. This event is not a Super Series event. Children/strollers are welcome to accompany participating adults/parents, and do not need to be registered (but will not receive a t-shirt). ANIMALS ARE NOT ALLOWED AT THIS EVENT and you will be asked to leave if you bring one. Bikes, skates, and skateboards are not allowed. Strollers and headphones ARE allowed, but please understand that this poses additional risk during a road race and that you assume all risk by signing the waiver. MINORS UNDER 12 will be considered for 10K participation on a case-by-case basis, based on ability and parental consent. It will be expected that a parent/adult accompany said child during the race. Please contact us through this website if you would like to register a minor under 12.